We’ve just completed a major design update on the packaging that transports Imperial Yeast to homebrewers around the world. The yeast originally came in cute little cans that we also designed, but experimentation with different options led the Portland-based company to the new more colorful pouches. 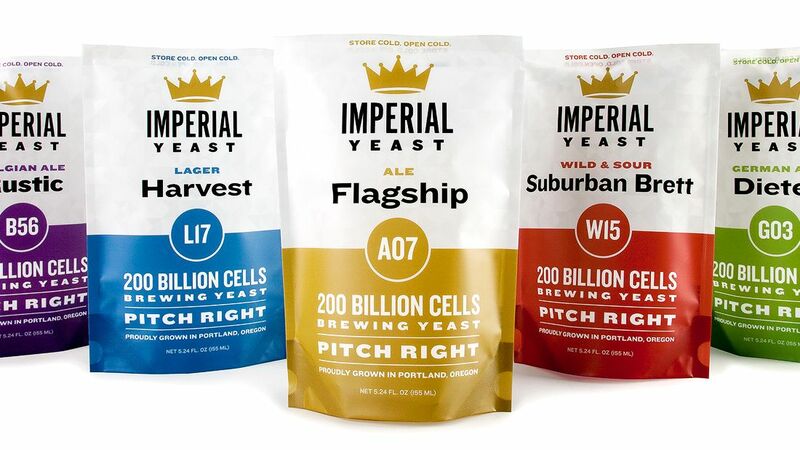 Now each of the 5 varieties of organic yeast has its own color, and each individual strain has its own pouch complete with name and code number. The cans had the strain name and date printed with a customized inkjet printer. The challenge for the pouch design was to create a new more colorful overall appearance while retaining the essence of the previous can design. Look for the new pouches to appear at brewing supply stores over the coming months. See more branding work for Imperial here.